Colouring your hair for the first time ever can be very intimidating and confusing when you’re just starting to get into it. The shades and the colours can be overwhelming and finding what works for your skin tone can be even more difficult. Highlights are stepping stones to wild hair colours. If you are afraid of trying a new hair colour or you are scared of damaging your hair, highlighting can be a perfect start for you. Because only a little bit of your hair is coloured, it does not damage your hair. Plus the natural highlights will make your hair appear thicker. If you are brave or you are feeling exceptionally experimental, go for the rainbow highlights. Dip-dye is colouring your hair only a few inches at the end. Dip-dye hair makes any person look ten times cooler. You can experiment with any wild colour for dip-dye and it won’t even harm your hair as the colour doesn’t touch your scalp. Another great part about dip-dye hair colour is that when you get bored of it, all you have to do is cut it off. Hidden hue is hair colour on the inside of hair which can’t be seen all the time. 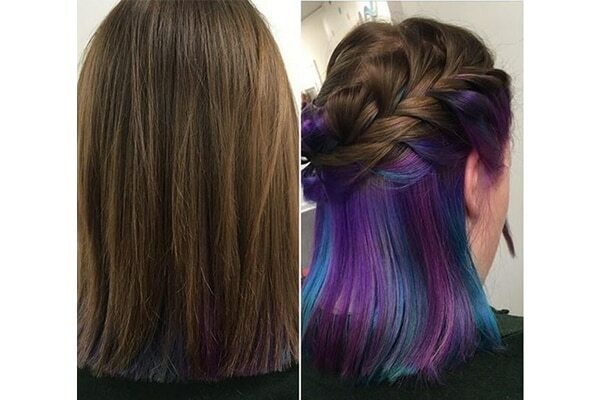 This hair colouring technique is for those who want a crazy colour but without a whole new look. 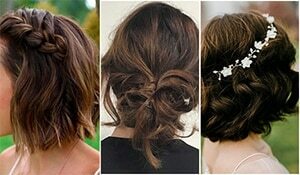 Experiment with different hair colour on the underside of your hair. This is one if the easiest to maintain hair colour techniques too. Do not underestimate going a shade or two lighter. Caramel hair has always been popular. 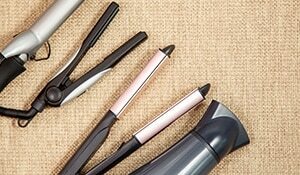 It gives you a chic and effortless look without doing much. The best part, caramel hair is mom friendly and won’t upset your mother when you experiment with your hair. Balayage the hair trend took the world by storm and hasn’t stopped in 2018 either. The trend is still going strong and is still just as beautiful. 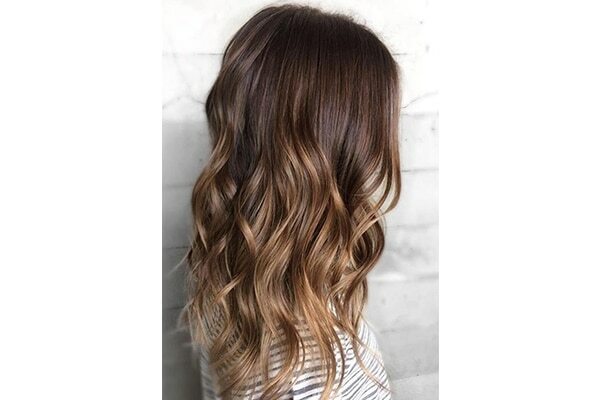 Balayage hair is a gradient shift from dark roots to light ends. You can go for a natural look with dark brown to light brown or dark to platinum blonde, it is all up to you. It’s versatile and looks good on everybody!